There are various treatments and remedies you can use to help with the symptoms of endometriosis. Some of the remedies have proved so successful and many women with endometriosis are seeing improvements that go beyond just helping with their symptoms. Some sufferers have been able to stop further growth and development of the disease, while others have been able to achieve successful pregnancy. Acupuncture is part of Traditional Chinese Medicine and has been practised in China for thousands of years, but became widely known in the West only in the 1970s, when its use as an anaesthetic received sensational press coverage. Practitioners insert fine, sterile needles into specific points on the body as a treatment for disorders ranging from asthma to alcohol addictions, but most often in the West as a means of pain relief. Acupuncturists are trained in the art of Traditional Chinese Medicine, and will combine the use of herbs along with acupuncture treatments. In the Oriental method of gynaecology, known as "fu-ke" in the language of Traditional Chinese Medicine (TCM), one of the most important approaches is herbal medicine. This will include the use of many parts of plants, usually including roots, barks, flowers, and fruits. Endometriosis, premenstrual disorders, irregular periods, heavy bleeding, reduced fertility, hormone related imbalances and pelvic pain, can be treated with the help of acupuncture and herbal medicine. Acupuncture points and herbal formulas are chosen in accordance to the individual’s TCM diagnosis and can vary from person the person. The acupuncture points commonly used in the treatment of endometriosis can be located on the ears, abdomen, wrists, feet, legs, and back. Needles are usually retained for 20 to 45 minutes. Prescribed herbal formulas vary from person to person. The acupuncture points and herbs chosen help to facilitate the free flow of energy through the body. Some of the points and herbs are used to move blood, break up stagnation and stop pain. Each point and herb selected has its own therapeutic importance in the treatment of disease depending on the TCM diagnosis of the individual. The treatment of endometriosis with acupuncture usually requires a commitment of enough time to rebalance the body's systems. This will vary from one woman to another, and will be dependant on the severity of the disease. Chinese Herbalism is another part of the Traditional Chinese Medicine system. The Nei Jing (Yellow Emperor’s Classic of International Medicine), dating to c. 200B.C. - A.D. 100, is the earliest known document to set out the principles that underlie Traditional Chinese Medicine to this day. It emphasizes the ideals of moderation, balance, and harmony, which are central to the ancient Chinese philosophy of Taoism. Traditional Chinese medicine is able to understand endometriosis based on the different clinical manifestations, or symptoms, associated with each individual. It is important in TCM to diagnose the patient according to their own specific pattern. Each individual has a pattern that marks the foundation and progression of the disorder. When determining the pattern of disease, TCM takes into account the menstrual history, duration of the cycle, as well as pain, including the time that it occurs, the location, and the nature and severity. In TCM theory, there are several disease causing factors including blood stagnation, energy stagnation and deficiency, as well as cold and heat conditions that can lead to endometriosis. The origin of the pattern differs according to the individual. Other factors that are taken into consideration when determining the pattern for disease include: emotional stress, anxiety, constitutional weakness, surgical history, exposure to cold temperatures especially during menstruation, diet, chronic illness or weakness, or a history of genital infections. Herbal medicine is the treatment of disease using medicinal plants, both internally and externally, to restore the patient back to health. It is a system of medicine that relies on the therapeutic qualities of plants to help the patient by enhancing the body’s own recuperative powers. 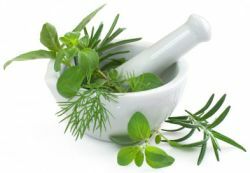 It is a natural method of healing based on the traditional usage of herbs coupled with modern scientific developments. Though there are those in the orthodox medical world who ignore herbal medicine, even condemn it, the constituents of herbs have provided the blueprint for many of the most effective and widely known drugs used today. ‘Orthodox’ medicine has its roots in herbal medicine. For the treatment of Endometriosis, one of the first tasks in herbal medicine is to try and re-balance the hormone levels in the body. Then other herbs will be introduced to strengthen the immune system so that the body can then begin to eliminate the disease. As with other alternative treatments, using herbal medicine will involve a time commitment to achieve success. 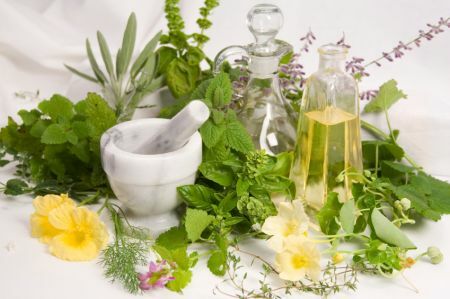 Homoeopathy is a therapeutic method of medicine in which very dilute doses of natural substances (plant, animal, mineral) are administered to a patient to treat symptoms that would be induced in a healthy individual by ingestion of that same substance. Homoeopathy stimulates the body’s own defences to correct illness and allow symptoms to dissipate. 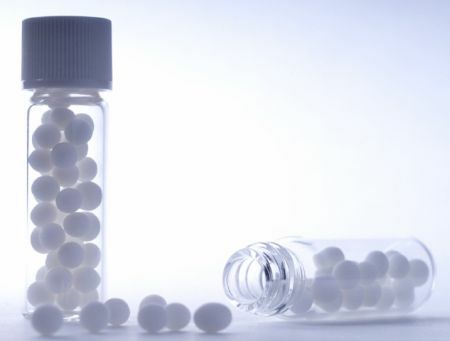 The minute doses of drug substances used in homoeopathy do not cause any side effects. Homoeopathy can be used for short term (acute) illnesses and long term (chronic) illnesses. The healing method of homoeopathy looks at each patient and develops a remedy or treatment plan strictly for him or her. It invokes the powers of healing inherent in individuals (our Immune system) to develop a successful therapy. The more one knows about the patient, the symptoms, likes and dislikes, what makes them better or worse, it helps in developing a ‘symptom picture’ of the patient that can lead to a successful treatment. For the treatment of Endometriosis, homoeopathy treats the individual not the disease. A homoeopath will ask many questions of the patient to get a clear ‘picture’ of the individual. No two women are the same, and no two treatment programs for Endometriosis will be the same when using homoeopathy. There may be common factors which are shared between women when they have Endometriosis, but in homoeopathy the treatment is specific to the way each woman has reacted to the disease and to other factors in her life that have led to the disease developing in the first place. Also known as ‘ Natural Medicine’, naturopathy developed in the late 19th century, founded on an ancient belief in the power of the body to heal itself. Naturopathy believe that the body’s natural state is one of equilibrium, which can be disturbed by an unhealthy lifestyle. They look for underlying causes of a problem rather that treating symptoms alone, combining diet and non-invasive therapies where possible to stimulate the healing process. Naturopathy is practised throughout the Western world and some of its principles have been adopted by conventional medicine. The treatment of Endometriosis using Naturopathy is a totally holistic approach and will include many areas of a patients' life. 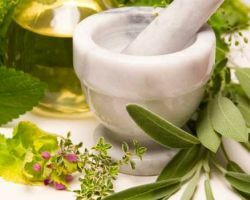 The endometriosis program in Naturopathy will consider diet, lifestyle, cleansing and hormone balancing herbs, as well as herbs for pain relief and external preparations to clear toxicity in the abdominal area. Instructions and suggestions for gentle exercise programs may also be included. Aromatherapy is a form of healing that utilizes the natural aromatic aspect of plants - the essential oils - both for their scent and for their inherent medicinal properties. These aromatic oils can be found in a wide range of species and are extracted from the seeds, bark, leaves, flowers, wood, roots or resin according to the type of plant. The word ‘aromatherapy’ can be misleading, because it suggests a type of healing which operates simply through our sense of smell. The fragrance of essential oils is an important part of their overall nature, but only one aspect of it. In an aromatherapy treatment, essential oils interact with the body in a variety of ways. When a massage oil is prepared with essential oils and rubbed on the skin, the essential oils are quickly absorbed through the cell tissue and into the bloodstream to be transported throughout the body. They can then interact with the organs and systems of the body directly. Massage is the main method used by professional aromatherapists because it ensures a good absorption of the essential oils and is a very relaxing and healing experience in itself. 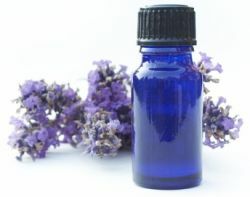 Different essential oils have different properties so a mixture of oils may be used in an aromatherapy treatment. Aromatherapy can assist many different aspects in the treatment of different diseases. The chemical properties of different essential oils can aid digestion, assist with sleep problems, boost the immune system, support the reproductive system, help rebalance the hormone system, and many other subtle benefits. Aromatherapy is probably better seen as a support to aid healing used in conjunction with other alternative therapies. The healing actions of essential oils will not be sufficient in themselves to help heal the body of Endometriosis. Healing of this disease comes from the strength of the immune system, and the body then heals itself. Many of the other therapies, such as homoeopathy and herbalism are much more deep rooted in their actions, whereas Aromatherapy is much more gentle. But as mentioned above, the known healing properties of essential oils will help with many residual problems associated with this disease. Scientists working in a number of different fields around the world - doctors, professors of medicine, chemists and biologists - have carried out laboratory tests which prove that essential oils have the ability to prevent the proliferation of harmful bacteria. Most essential oils have antibiotic, antiseptic, anti-viral and anti- inflammatory properties to a greater or lesser extent. These are the most well known natural or alternative treatments. There are many other alternative therapies available, but all of them have one single aim, and that is to assist the body to heal itself. The natural treatments which appear to be having the best results for the treatment of Endometriosis are Acupuncture, Homoeopathy, Herbalism and Naturopathy. Some of the therapies will be beneficial to help you deal with the emotional aspects of the disease. For example, Aromatherapy can help with emotional issues, stress and depression. Homoeopathy is renowned for highlighting emotional issues, some of which may have been buried for years. To choose which therapy is best for you is down to preference of the type of treatment. For example, if you do not like injections and needles then Acupuncture is not suitable for you. If you are not very good at swallowing strong tasting concoctions, then Herbalism may not be for you. The main issue about using natural treatments for Endometriosis is to not see them as a quick fix. Treatment will take longer, but it will be gentler, safer, and more effective for long-term results. If you decide to follow the path of natural treatment, then you need to find yourself a reputable, trained practitioner who should belong to a recognized governing body for their particular practice. What are the practitioner's qualifications? What sort of training was undertaken, and for how long? For how many years has the practitioner been in practice? Does the organization have a code of practise, specifying the professional code of conduct? Is treatment available on referral by your doctor? Some therapies, such as chiropractic, osteopathy and acupuncture, are becoming accepted into mainstream medicine. Can you claim for the treatment through your health insurance, if you have it? How many treatments might you expect to require? Trust and empathy are important with your practitioner, and treatment is unlikely to succeed without it. Treatment is nearly always conducted on a one-to-one basis, so trust is imperative. Endometriosis is a very distressing disease and you need to know your alternative health practitioner is aware of the disease and all its implications. Do not settle for second best because you are in a rush to start treatment or the practitioner is offering cheap treatment. It is preferable to wait until you find exactly the right person to help you; someone you can trust and they have a good understanding of Endometriosis.